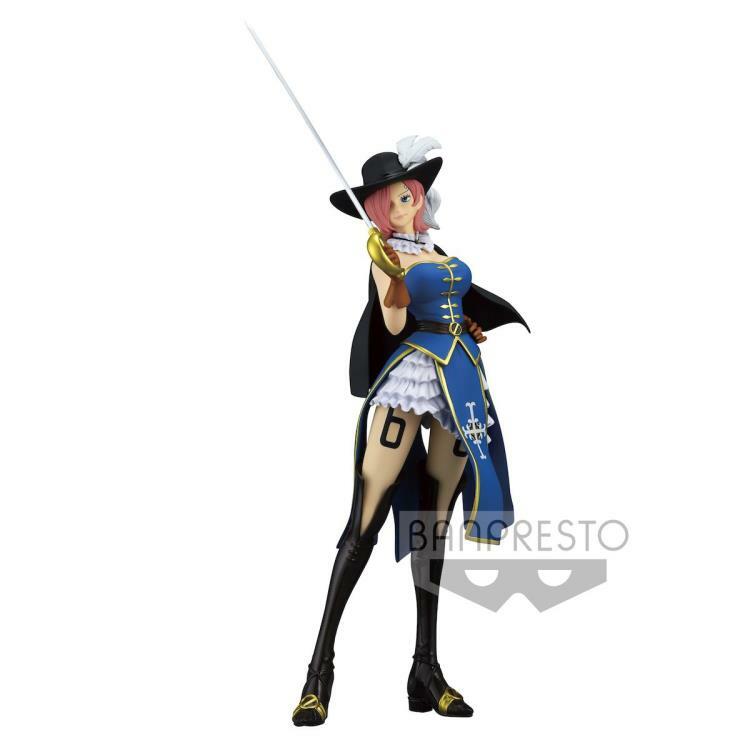 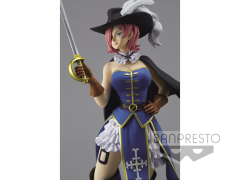 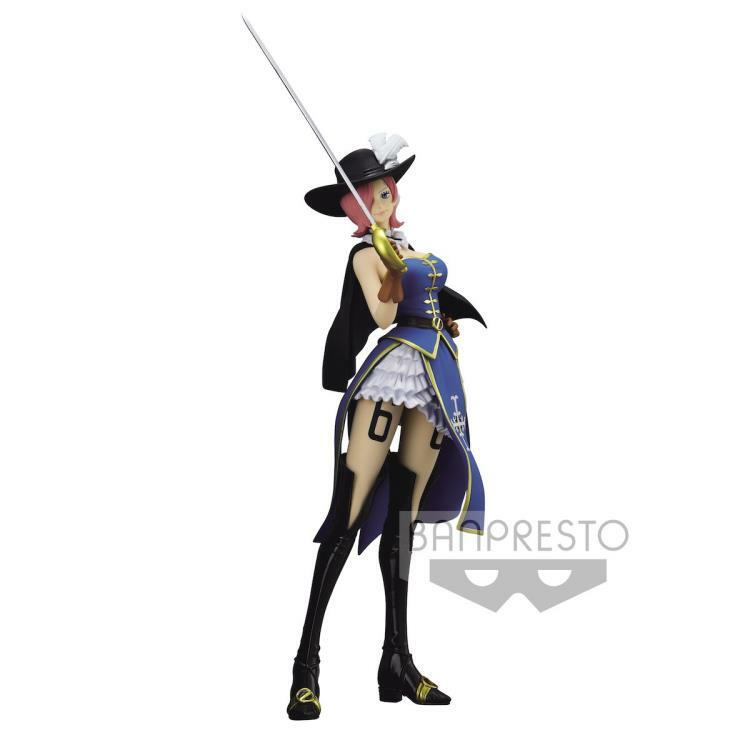 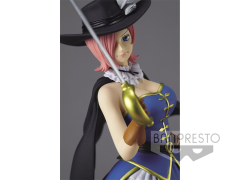 This Treasure Cruise World Journey figure features Vinsmoke Reiju from the anime One Piece. 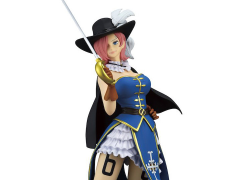 Also known as "Poison Pink", she’s the eldest child and only daughter of the Vinsmoke Family. As an older sister, military commander, and princess, there's no doubt that Reiju is both capable and alluring. 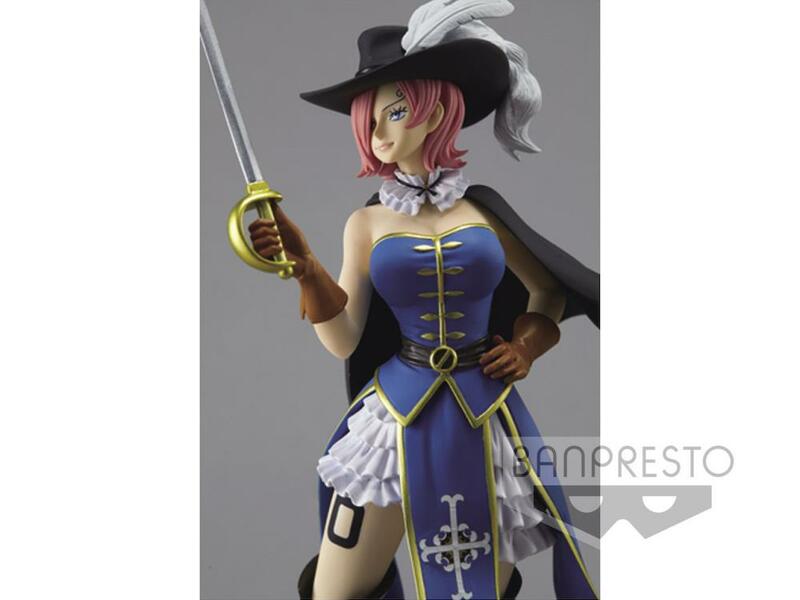 This figure of Reiju stands about 8.3 inches tall.